HFD Property Group has received planning consent for a three storey office development in Aberdeen. 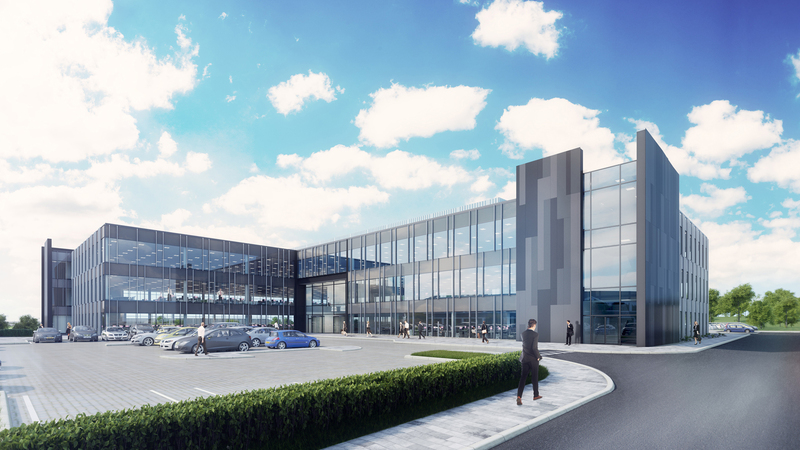 Providing over 90,000 sq ft of Grade A office accommodation, the CityPark2 development is the second phase of a new campus at Altens Farm Road. The project will sit adjacent to HFD’s CityPark1 development – a 215,000 sq ft office occupied by Wood, completed in 2016. Mosaic director Neil Haining said ‘ the L shaped floor plan has a central core with two perimeter stair cores and single undercroft basement car park. The external envelope consists of a limited palette of materials with full height curtain walling to the office space and metal cladding terminating the stair cores’.